Does Culver City Honda provide financing? Yes, we do! Our finance staff works hard to help each of our customers get the financing they need when they purchase or lease a new Honda car, truck, SUV, or minivan. Whether you have great credit, bad credit, or no credit, our team will work with you to get the car loan that fits your situation. Our secure finance application can get you started. 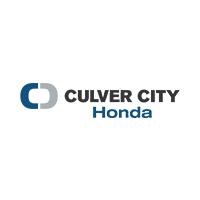 How can I best prepare to buy or lease a new Honda vehicle before going to Culver City Honda? If you have a vehicle that you are planning on using for a trade-in, you can use our KBB Instant Cash Offer tool. This will give you a redeemable trade-in offer for your current vehicle. If you want more information about monthly payments, you can use our flexible payment calculator to figure out you monthly payments based off of things like your down payment amount and the loan interest rate. When can I come by and check out a vehicle that I’m interested in? You can come by anytime during our business hours to our dealership on Washington Boulevard in Culver City. If there is a specific vehicle you’re interested in, we recommend that you schedule a test drive ahead of time. We’re a quick drive from Santa Monica, Inglewood, Huntington Park, Glendale, and the greater Los Angeles area, so please come by to check our inventory out!